Did you know that one of the main reasons why people don’t save is that they don’t want to organise their money? Break the routine and start saving now! Thanks to the Smart Coin Classifier ™ and its indicator you can know at all times exactly how much money you have. 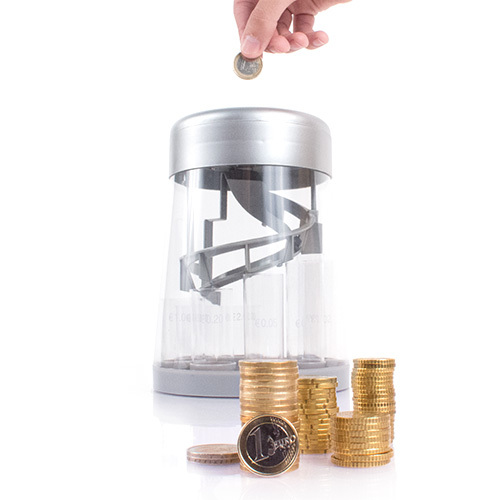 Start storing your coins in the Smart Coin Classifier© and you’ll be amazed at how much you can save. If not, at least your dog will be entertained watching how the coin goes down chute! Smart Coin Classifier ™ effectively stores and keeps your money organised. The Smart Coin Classifier is an excellent investment!Did you know that one of the main reasons why people don’t save is that they don’t want to organise their money? Break the routine and start saving now! Thanks to the Smart Coin Classifier ™ and its indicator you can know at all times exactly how much money you have. 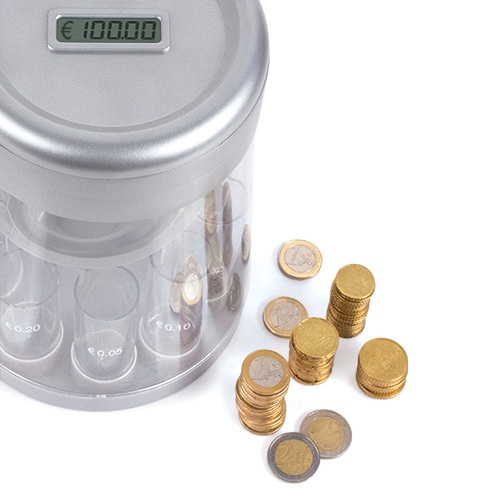 Start storing your coins in the Smart Coin Classifier© and you’ll be amazed at how much you can save. If not, at least your dog will be entertained watching how the coin goes down chute! Smart Coin Classifier ™ effectively stores and keeps your money organised. The Smart Coin Classifier is an excellent investment!Did you know that one of the main reasons why people don’t save is that they don’t want to organise their money? Break the routine and start saving now! Thanks to the Smart Coin Classifier ™ and its indicator you can know at all times exactly how much money you have. Start storing your coins in the Smart Coin Classifier© and you’ll be amazed at how much you can save. If not, at least your dog will be entertained watching how the coin goes down chute! Smart Coin Classifier ™ effectively stores and keeps your money organised. The Smart Coin Classifier is an excellent investment! Did you know that one of the main reasons why people don’t save is that they don’t want to organise their money? Break the routine and start saving now! Thanks to the Smart Coin Classifier ™ and its indicator you can know at all times exactly how much money you have. Start storing your coins in the Smart Coin Classifier© and you’ll be amazed at how much you can save. If not, at least your dog will be entertained watching how the coin goes down chute! Smart Coin Classifier ™ effectively stores and keeps your money organised. The Smart Coin Classifier is an excellent investment!